All episodes from Season 5 of Leupold's Fresh Tracks with Randy Newberg are included in this package, exactly as they aired on Sportsman Channel in 2017. Elk, Mule Deer, Whitetail, Antelope, Black Bear, with rifle and archery, in Montana, Arizona, New Mexico, Colorado, Alaska, and Wyoming. 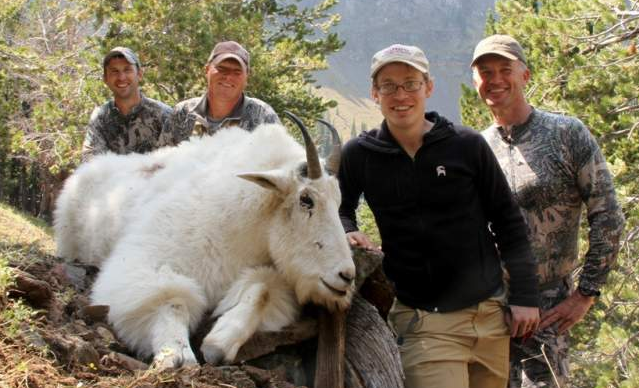 All self-guided public land hunts. Purchase now and you will be able to download each episode as it is added to the bundle. Network license agreements require that we wait until an episode premieres on the network before we can make it available for download here. Field Care for Elk - "The Gutless Method"
A video that gives you step-by-step instructions of how to take care of your elk in the field, without removing the entrails. A process commonly referred to as "The Gutless Method." Download this information-packed video now as a reference in the field or at camp. All episodes from Leupold's Fresh Tracks with Randy Newberg are included in this package. Also included is our very helpful 27-minute field processing video; "The Gutless Method." Also included are two YouTube exclusive episodes that were never aired on TV. Elk, Mule Deer, Whitetail, Antelope, Black Bear, with rifle and archery, in Montana, New Mexico, Colorado, Alaska, and Wyoming. All self-guided public land hunts. Season three of the highly acclaimed series, Fresh Tracks with Randy Newberg, is currently airing on Sportsman Channel. There are 10 episodes in Season 3-- PRE-ORDER now and receive new episodes as soon as they air. All our elk hunts are self-guided and on public lands. Now is your chance to own all of our elk hunts since we started filming; those from Fresh Tracks with Randy Newberg and On Your Own Adventures. A total of 24 episodes, both archery and rifle, from Montana to New Mexico, and all states in between. A compilation of all pronghorn hunts from our TV series, On Your Own Adventures and Fresh Tracks with Randy Newberg. America's most unique animal, both on the hoof and on the plate, provides one of our greatest adventures. Wyoming, New Mexico, Colorado, and Arizona hunts with rifle and bow. Season two of the highly acclaimed series, Fresh Tracks with Randy Newberg, is now available for instant streaming and downloading. Featuring self-guided hunter, Randy Newberg, the “Fresh Tracks” season two series aired on Sportsman Channel in 2014 and features four hours of self-guided hunting all on public lands. Randy Newberg is a hunter. Randy is the voice of the public land hunter in America. Decades of chasing all species across public lands has provided both experience and perspective that has allowed Randy to become the leading advocate for the self-guided hunter; hunters dependent upon public lands for hunting access. What started by accident, has grown into two popular TV shows, Fresh Tracks and On Your Own Adventures, accompanied by the long-standing Hunt Talk web forum. Now added to those platforms is the Hunt Talk Podcast where you get Randy Newberg, unfiltered. Randy uses his platforms to advocate for hunters and public access. 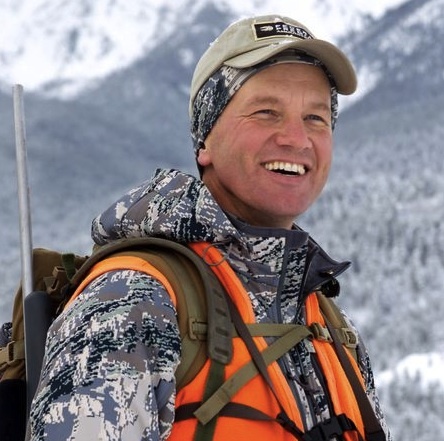 In addition to representing hunters in Congress and state legislatures, he serves as a volunteer and board member for many hunting and conservation groups. Fresh Tracks is a valuable tool for your self-guided western hunts as I share everything I’ve learned in 20 plus years of hunting the western states.